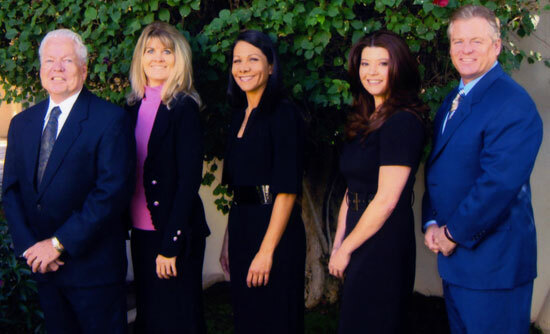 At the Cunningham Law Firm we are focused on developing personal client relationships. We work together with our clients in all aspects of a case; we encourage client participation in decision-making and ensure the client understands the legal process. We want our clients to be so satisfied with the quality of our service that they would recommend us to others. Born and raised in Pennsylvania, Christine has lived in Phoenix for nearly 30 years and has been a vital part of our law firm for more than 26 years; she really is part of the family. Christine has a passion for helping people; she finds the challenge of getting families back on their feet after a traumatic fire or a tragic accident truly rewarding. Christine has a Bachelors Degree in Human Services from the University of Phoenix, as well as an Associate Degree in Justice Studies. Christine’s passion for helping others carries over into her personal life; she has volunteered with Childhelp , Fresh Start Women’s Resource Center and the Welcome to America Project. Eleanor is a Phoenix native and has been with us more than 15 years; she too is part of our extended family. Fortunately for Eleanor and for us, she grew up in a bilingual home; speaking Spanish makes her an even more valuable asset to our firm. Eleanor has an Associate Degree in Paralegal Studies, and has a great deal of experience acting as a court-appointed case manager. Eleanor has been appointed by the court to act as a case manager for severely injured children, often where language is a barrier for the families. Eleanor’s knowledge of the resources available and the processes involved, particularly when dealing with children, is a great comfort to our Spanish speaking clients in particular. Eleanor’s role as case manager often continues even after a case is resolved; and it’s not at all unusual for clients to give Eleanor a call or pay us a visit to see how she is doing months or even years after resolution.